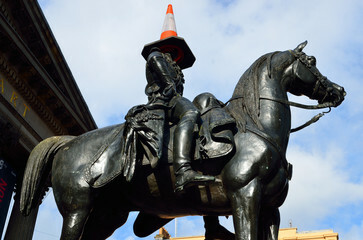 Glasgow is one of the UK’s best up and coming cities. 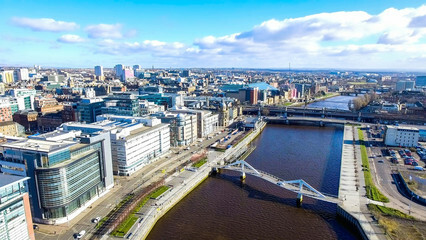 With its excellent music scene (King Tuts, Celtic Connections & SWG3), down to earth nightlife and excellent city centre shopping- it’s no wonder more and more people are visiting Scotland’s beloved Glasgow. The Candleriggs is an area in Glasgow’s Merchant City, where historically, candle makers plied their trade, at a safe distance from the crowded tenements clustered around the busy High Street area. In modern times the Merchant City area is one of the trendiest parts of Glasgow with glamorous cocktail bars and trendy restaurants. This article is for the foodies – who’s Instagram is full of interesting plates from restaurants all around the world. Here is our pick of cool brunch spots and restaurants in Candleriggs Glasgow. One of the most delicious and famous Indian restaurants in Candleriggs Glasgow. The Dhabba offers authentic North Indian cuisine. Their recipes are super secret and have been passed down through generations within the family. They run loads of offers weekly, the most common one being the pre-theatre offer. So pop down and enjoy the friendly atmosphere and delicious food. With its modern, monochrome interior and interesting take on the classic ‘avo on toast’ – The Wilson Street Pantry is the trendiest place in Glasgow to grab your post yoga brunch. Every single thing about this place is ‘Instagrammable’ . From the coffee to the hummus – everything you are served is presented in a thoughtful and creative way. They even offer cool events for large parties. Wedding day breakfast for team bride anyone? Cafe Gandolfi is famous for its menu full of Scottish produce – celebrating ingredients from Summer Isles smoked salmon, Cockburn’s of Dingwall haggis to the freshest of Fish People fish, McCaskie’s of Weymss Bay supply high quality meats, including their own beef sausages, and The City Fruits Company provide continually fresh and seasonal fruits and vegetables. From day time bottomless brunch to an evening eating fresh Scottish fish this restaurant is a must! Looking for a trendy, glamorous place to take the gals? Metropolitan is the place to go! Situated in Merchant Square in the Candleriggs this bar offers everything. By day, have a lunch in our balcony and by night, sit under the twinkly lights of Merchant Square until 3am and work your way down our delicious cocktail menu.